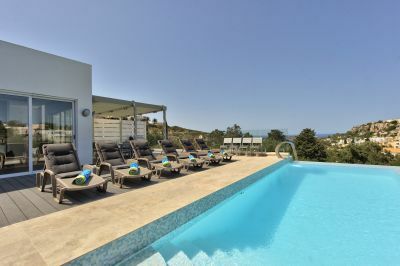 Beautifull villa with large private pool and tennis for residents. Close to championship gold course and all the attractions of the Cote d’Azur. Private luxury villa in Marbella at the foot of La Concha Mountain in Cascada de Camoján, 5 minutes from Marbella. This holiday villa rental has all the facilities you'd expect. Indoor and outdoor pool, air conditioning, under floor heating. Lime Hill Villa is an Architect designed home with four air conditioned double bedrooms, each with truly stunning views, an infinity swimming pool, and is surrounded by a secluded tropical garden, just a few minutes stroll down the hill to the beach. 17th century farmhouse in North Portugal set in 25 acres of gardens, with large pool offering superb views overlooking the Douro River and valley. The property has orange, lemon and olive groves that have been in family for generations. The villa is situated in St Andrew's Village which is a small and quiet community situated off the A1A. The entrance is gated and there is private access to the Indian River and to the Atlantic Beach. 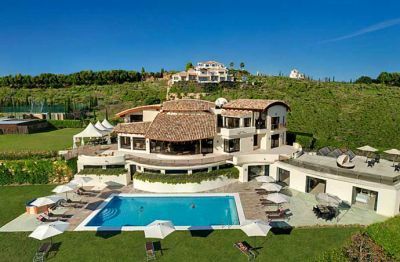 Villa El Cano holiday villa rental in Marbella with spectacular views over Los Flamingos Golf Course and most attractive coastline and mountain range. 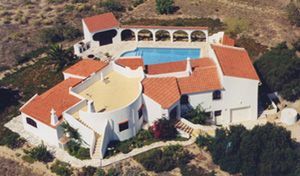 A large and impressive house, Villa El Cano has both indoor and outdoor heated pools and a sauna. As soon as you arrive at Villa Buena Vista - Cape Coral Villa Rental, it is clear that architectural creativity and tropical landscaping form a symbiosis that appeals to anyone looking for a luxury, one-of-a-kind vacation home. Quinta Oceane has style and a luxurious atmosphere, set in lovely gardens it offers comfort and peace, a place where famous stars have stayed. Heated adult swimming pool and separate childrens pool, BBQ area with full kitchen and seating for 20. With 26 bedrooms, 32 bathrooms, 35 beds to sleep up to 70 guest comfortably this Las Vegas Mini Castle #3 is an exceptional place to host all your guests from A list celebrities or Pro Athletes to conferences or special guests and much more. Las Vegas mini castles with pool and Vegas Strip view. Get royal treatment on luxury resort with 7,000 sq ft of accommodation. 8 Master guest suites, 10 baths, located in a Private gated community of Mini Castle2, ½ mile East of Las Vegas Blvd, South. Enjoy this uniquely Thai villa with its very private pool and delicious Thai food. 10 Miles north of Chiangmai and 30 minutes from its international Airport , the intimate Four Seasons Resort is located in Maerim village at the entrance of Mae Sa Valley where many exciting tourist activities take place. This Stunning Villa is set in a Coconut plantation, in the countryside. Just outside the fun city of Pattaya. (15 minute drive) It is very Secluded & Private, not overlooked by anyone, or property. 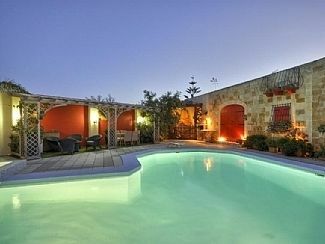 It has a magnificent 12 metre swimming pool with Jacuzzi. Large 4 bedroom all en-suite Luxury Villa with Pool with wonderful views of lake on Cocotal Golf Complex. This luxurious 3 bedroom townhouse in Enterprise is located on the south coast of Barbados. It is set in tropical gardens in a private road. The house is spacious and very tastefully decorated. Newly rebuilt in mid-2012 Teakwood house is equipped with all facilities. A 17th century country house with extra apartment for 2 self-catering options. 10 hectare estate, gardens, pool. Superb Douro river views, hills, vines, orchards, total tranquility. Porto 56km.